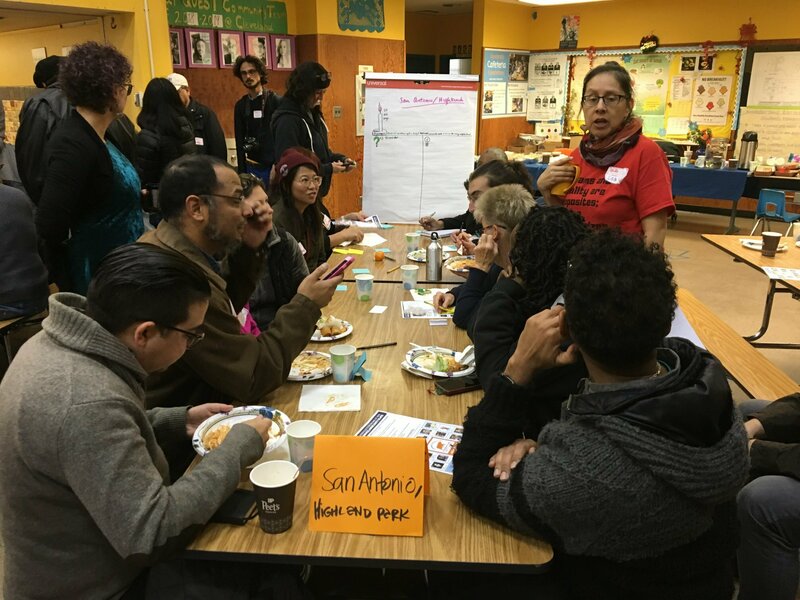 Oakland → News → What did neighbors share at our first community meeting? What did neighbors share at our first community meeting? Nearly 150 neighbors from across District 2 and beyond joined us on Saturday, January 5th to make their voices heard by weighing in on our three starting priorities to strengthen Oakland in the first 100 days and first year of my term. Below are the main needs, hopes, ideas, and questions that people shared in groups. “We wonder" // How do we redefine what’s considered “affordable,” given the skyrocketing cost of housing? • How will we coordinate efforts to create short- and long-term solutions to homelessness? •How will Oakland’s Public Lands Policy be implemented and how can we participate? “We wonder" // What will community participation in budgeting/policy look like? • How does Oakland generate revenue? • How are funds spent? • How will we engage and participate, given our job schedules? • Can we reduce the police budget and increase funds for prevention like housing and services? • Can the City partner with and support our public schools? “We wonder" // How do we learn about and get access to services for our neighborhoods? • Why are responses to requests for services so different, depending on where you live? • How can we come together in our own neighborhoods and be supported to address issues we see in our neighborhoods? I am also working with Council President Rebecca Kaplan and Council Member Sheng Thao on a resolution in support of OUSD teachers in improving their working conditions, urging the OUSD Board to ensure vital public needs are met and to seek to avoid closing public schools and to provide all schools the resources to help students thrive. Join a neighborhood meeting or invite our office to participate. Reach us at 510-238-7002 and NFBas[at]OaklandCA.gov. Stay tuned for a February community meeting on the redevelopment of Kaiser Convention Center. Stay tuned for a March community meeting with Assemblymember Rob Bonta.